Interested in hosting a Paint Out? Need some guidance on how or when? Contact our Paint Out Coordinator, Carol Cosgrove. We are inviting OPAS and the community for a day to paint and draw out-of-doors. (We have a museum staff member who will help with beginning drawing on the Roy Roger Esplanade in front of the Museum). The museum will be creating a map with a handful of great locations indicated for OPAS to use as reference (however, I also understand the need to wander to find the right spot) that will also include restaurants and bathroom locations. We are thinking that the painting around town will happen from 10-2, and then everyone can bring their work back to the Museum where we can share what has been created that day. From 2-5 we will host the reception with food/drinks/music. We will also have the packing ready and helpers to help the exhibition artists pack their work and sign release forms to bring their work home. Hello OPAS members! I am going to host a paint out in Rocky River on Saturday, May 4th. On the map, and location here above, is the address for the Emerald Necklace Marina just south of the mouth of the river, in Cleveland Metro Parks. I will have bagels and coffee for people that wish to show up at my house (close to the river / lake) beginning 7:45am. PM me on Facebook if you would like to come and I will give the address. There is a Gazebo near the river / marina at the address above. I will be there by 9am if anyone needs ideas of what / where to paint. I suggest we meet back at the gazebo at 1pm … to see each other’s works! Since this is an informal paint-out, I am throwing out the idea that maybe we can have a painting exchange. We can each draw names and take home a painting not our own. Just a thought! Hope some of you can attend, there are some great sights to paint! We will meet at the Rose Garden parking lot at 9 AM and return to the area for a peer review of the morning’s paintings at 12:30. Jason Veil, Curator at the Arboretum, is excited to have the group paint in the gardens. Timing: 9am-2pm Live painting; 2-3pm Wet Paint Sale. This will be the second year of a paint out opportunity at Pleasant Hill Lake. Bathrooms are easily accessible in the welcome center. Bring your own lunch. Park leadership is interested in purchasing paintings to be used in new cabins being built in 2019. You can set up in several locations in the park, beach, marina, etc. In case of rain we will setup on the covered deck or inside the welcome center bldg. Opening Reception: Saturday, Dec. 8, 2018 from 5:30-7:30 pm. This juried event will celebrate the plein air tradition by exhibiting, promoting, and selling an exclusive group of works painted outdoors in the true spirit of plein air painting. 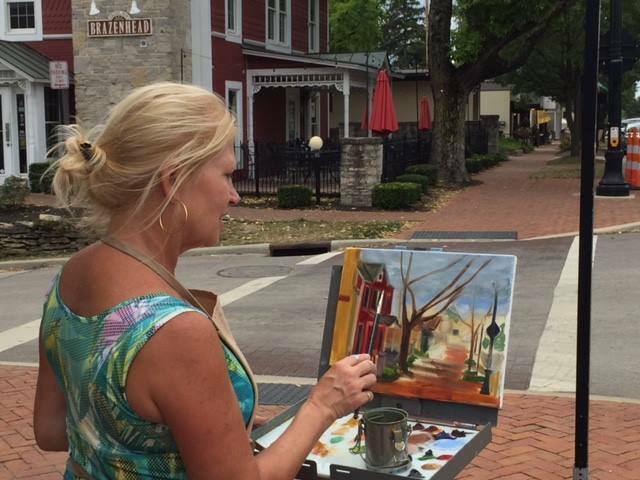 Our juror will select the finest plein air works from members of the Ohio Plein Air Society. Every member who submits is guaranteed to have a painting included in the show. We will celebrate at an opening on Saturday, December 8, 2018, 5:30 – 7:30 PM. Our Theme for this show is simply Farm Life en Plein Air. Any part of a farm can be painted for this show. Everyone has a farm close by. Please remember to ask permission before painting on private property. Don’t miss this unique opportunity to win cash prizes, sell your work, and add a prestigious fine art museum exhibition to your artist resume. All entries must be submitted via Online Juried Shows (www.onlinejuriedshows.com) by Sunday, October 7th, 2018. An entry start date has not been determined. Artists MUST be members of the Ohio Plein Air Society to submit their works. Go to www.ohiopleinairsociety.com or call 419-606-1620 for membership information. A non-refundable application fee of $25 will be collected from each artist submitting their works. Our juror will be choosing works they feel best represent the spirit of PLEIN AIR painting and the theme of Farm Life. Works on paper and mediums susceptible to smearing/smudging MUST BE protected under glass or plexi-glass. The Springfield Museum of Art reserves the right to reject any artwork deemed improperly framed or improperly prepared for hanging. Each artist member may submit up to 3 paintings to be judged. The Springfield Museum of Art commission will be deducted from the provided sales price. The artist’s portion of all sales will be paid at the show’s completion via check and mailed to the address provided in the artist’s application. Tim will be running a workshop hosted by OPAS Sept. 30 – Oct. 2, 2019, titled, “Capture the Light!” For more visit www.OhioPleinAirSociety.com for more info or to register online. by identifying, clarifying and establishing proper value relationships. Exercises will be used to help simplify these concepts. We will learn to utilize value patterns to aid in developing successful compositions. There will be discussions on materials, scene selection and brushwork. During the workshop, I will do a demonstration painting each day, and work with students individually on their paintings throughout the rest of the day. I will also present a slide show, using examples of my work to illustrate key concepts. The workshop is geared toward advanced beginner, and intermediate painters working in oil. We’ll be spending about half our time in the studio, and (weather permitting) the other half, painting outdoors nearby. The following OPAS members teach classes, workshops and / or demos. Please contact these OPAS members directly to be added to their mailing lists. The Logan County Art League is sponsoring the 12th annual Art on the Beach held at Oldfield Beach at Indian Lake, Lakeview, Ohio on June 22nd and 23rd, 2019. We are searching for art vendors and fine craftsmen. There will be fine art exhibits, beautiful crafts from experienced craftspeople, live entertainment, and food vendors of all types. We have attached the Art on the Beach application form for those interested in participating. If you have any questions, please contact Andrea Earick, earicka@gmail.com or 937-602-3032. We have been busy since wrapping up the 2018 season this fall and jumped right into planning for the upcoming season. We are already anticipating another banner year. We are able to offer 25% off your hotel stay while you are here in Lakeside for the Plein Air Art Festival. It is our hope that this makes it a little more economical to come and participate. We are happy to offer online registration this year. The online application will streamline the registration process for you. There is nothing to mail or email back to me. You will receive a confirmation email after submitting. Closer to the date of the event additional information will be sent via email. To register for the event, simply click on this link, https://www.lakesideohio.com/calendar/event/14857/ and scroll to the bottom of the page. You’ll just fill in the information and click submit. Piqua Arts Council in Piqua, OH is accepting entries for their 2019 Piqua Arts and Ale Festival. The jury fee is $10 and the booth fee is only $25. Piqua Arts Council believes that they’re in the business to serve the interest of the artists and has kept the fees for their show extremely low for artists. In addition to arts and craft vendors, there will be live music all day, Ohio craft beers, food trucks, a plein air painting competition and activities for kids. The event runs from 10am – 8pm, but vendors can pack up anytime after 6pm. The Ohio Plein Air Society is a collection of artists and art lovers sharing a common interest in outdoor painting. While we recognize that all art is important, as a group we focus on painting, drawing, and other art forms completed on site, from direct observation, and outdoors. Our admiration for the world around us gives us reason to explore through art the diversity and uniqueness of Ohio’s landscapes, cityscapes, lakes, rivers, and streams, and beyond. As a non-profit organization, OPAS welcomes and supports artists, patrons, educators, and enthusiasts of all ages and skill levels, backgrounds and interests. We come together to paint and learn, to work in a supportive atmosphere, and to encourage each other by scheduling paint outs, workshops, competitions, critiques and group exhibitions. Each member may be as active as he or she chooses to be. 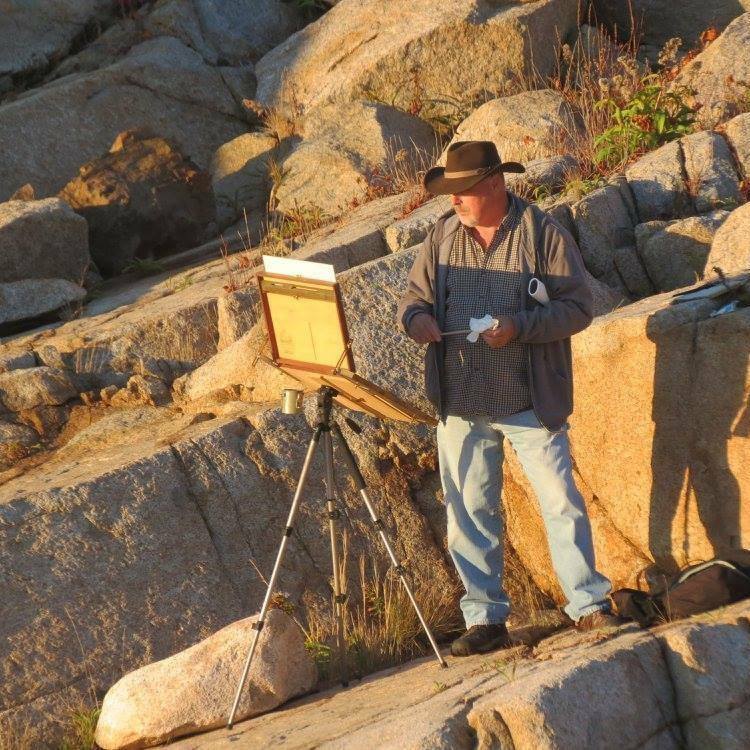 OPAS is proud to be at the forefront of the resurgent plein air movement in the United States. Our members now come from nearly every county in Ohio, and from each of the surrounding states. For a full list of our entire member roster, please click here. As an OPAS member, you will have access to our lending library! Click here to see the titles available as a member of OPAS. If you are a leader of one of these groups in Ohio, or know who is, please contact me. We really appreciate all of our generous sponsors. We’d like to send a HUGE thank you to each and every one of them!